Spend this season out on the water with this Starboard Whopper Zen Inflatable SUP paddleboard. 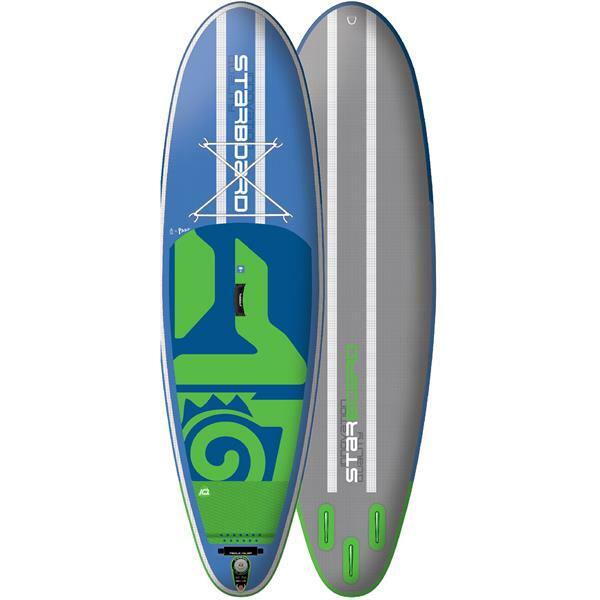 Featuring a wider deck and three fixed fins for stability, this Starboard SUP is a great option for those new to stand-up paddleboarding, as well as those wanting a board that is perfect for yoga and workouts. The soft EVA deck pad keeps your feet and knees comfortable while the bungee ties down on the front of this paddleboard keep your gear secure as you venture out. The carry handle in the center of this paddleboard also makes it easy to transport it to the water once it's inflated. This inflatable SUP also comes with a storage bag and high-pressure pump so that you can store your board safely when it's not in use and inflate it in no time so it's ready to go. Wherever this summer takes you, stay active outdoors with this Starboard Whopper Zen Inflatable SUP paddleboard.